Organic Nearly Naked popcorn by Popcornopolis is now available at Costco stores all across the country, and sells for $5.39 a bag. That is a great deal considering how big the bag is. They have even a better deal from April 19 to May 13, you’ll be able to pick up the same bag for only $3.49. Next time you are at Costco you will have to pick some up. Last weekend it was rainy and windy here in Portland so Rex and I decided to stay home and binge watch some of our favorite shows. Organic Nearly Naked Popcorn saved the day, we were able to have a good for you snack with out feeling guilty. Organic Nearly Naked Popcorn is delicious and a great gluten-free snack with only 38 calories per cup. It is also non-GMO and USDA certified. The popcorn is delicious and has just the right amount of salt on it. It reminded me of the popcorn my mom would make on the stove when I was little. It was always such a treat. Popcornopolis was founded by Wally and Kathy Arnold. In 2003, the Arnolds opened their first Popcornopolis retail store at Universal City Walk in Los Angeles, California. As brand loyalty and product offerings grew, new Popcornopolis stores opened in California, the Midwest, and New England. Today, the family-owned company’s iconic cone-shaped popcorn packages can be found in grocery and club stores, professional sports stadiums, movie theatres and at www.popcornopolis.com . Committed to giving back to the community, Popcornopolis has raised more than $15 million for non-profit groups by partnering with organizations that support youth and education across America. It is great that they give back to the community. 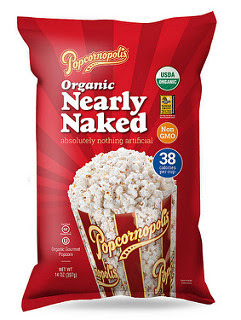 Don’t forget to pick up a bag or two of Organic Nearly Naked Popcorn by Popcornopolis the next time you are at Costco so you are all set for your next night of binge watching or just hanging out with family. You can follow Popcornopolis social media below. I love popcorn and recently was sent some from Rocky Mountain Popcorn. The container had 7 different flavors White Cheddar, Caramel, Butter, Jalepeno, Kettle, Cinnamon Sugar, and Naked. I tried the Kettle corn first and thought this is my favorite. Then I had the Cinnamon Sugar and thought no this is the best, but I really think the White Cheddar was my favorite. Each one was very flavorful. The popcorn was covered in seasonings and each bite tasted as good as the last. I also like the container it came in a festive eco-friendly alternative to the traditional popcorn tin. So it is something I can recycle. Who knew popcorn is so good for you? Rocky Mountain Popcorn is all natural, gluten-free, and certified non-GMO kernels . Popcorn is a great source of protein, with more protein than any other whole grain. Popcorn also has more iron content per serving than spinach or eggs! What most people don’t know is that popcorn is high in antioxidants, most notably the plant extract polyphenol. This chemical is of the same family of chemicals that contributes to the health benefits of foods like red wine, chocolate, tea, and olive oil. 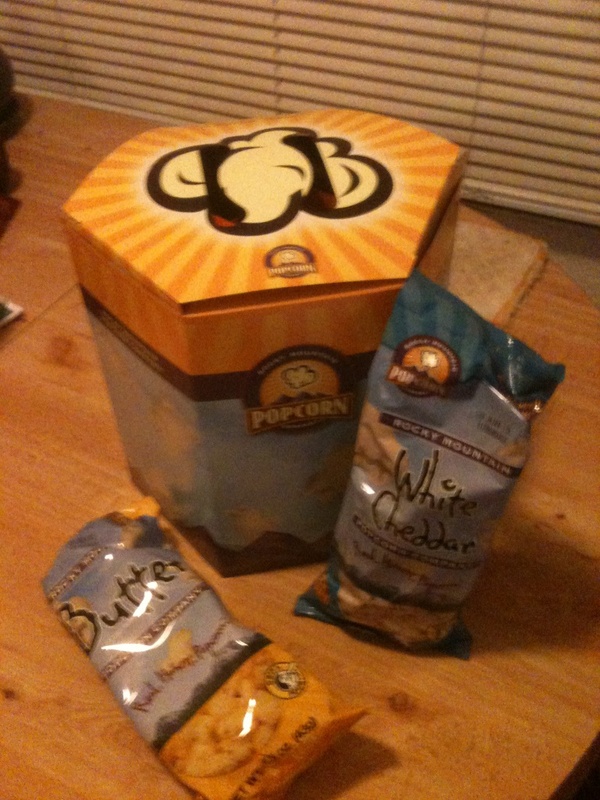 Rocky Mountain Popcorn offers a lot of good gift and reasonable priced items. Make sure you go to their website to see all they offer. Rocky Mountain Popcorn was founded 20 years ago. Rocky Moutain Popcorn has offered one of my readers a Large Nottatins vauled at $26.99. 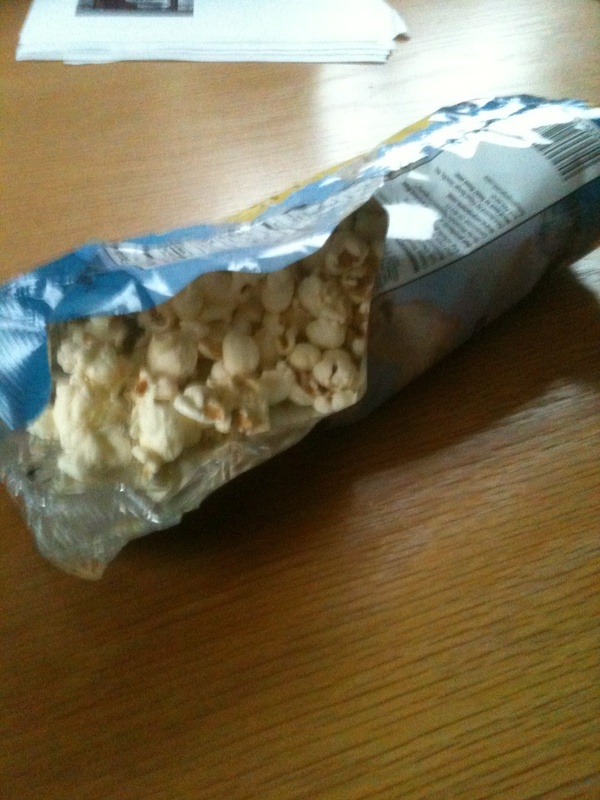 It has 15 bags of popcorn in it. In order to win you must fill out the form below. You also must follow Kaisy Daisy’s Corner in at least one way, extra entries for each way you follow. Also an extra entry for leaving a comment on your favorite flavor. You should be 13+ US. Contest ends Dec 11.